The sustainability practices in Bristol Bay have been in place to ensure that salmon will return to these rivers for generations to come. Every summer biologists are deployed to monitor the number of salmon getting up the rivers. This makes up the escapement. Only after a certain number spawning salmon have made it upriver are we allowed to fish. Over the course of the summer, the fishery will be open and closed periodically to allow for a more diverse gene class – increasing the chances for survival in the wild. click on the photo to see why we are the BEST CHOICE! 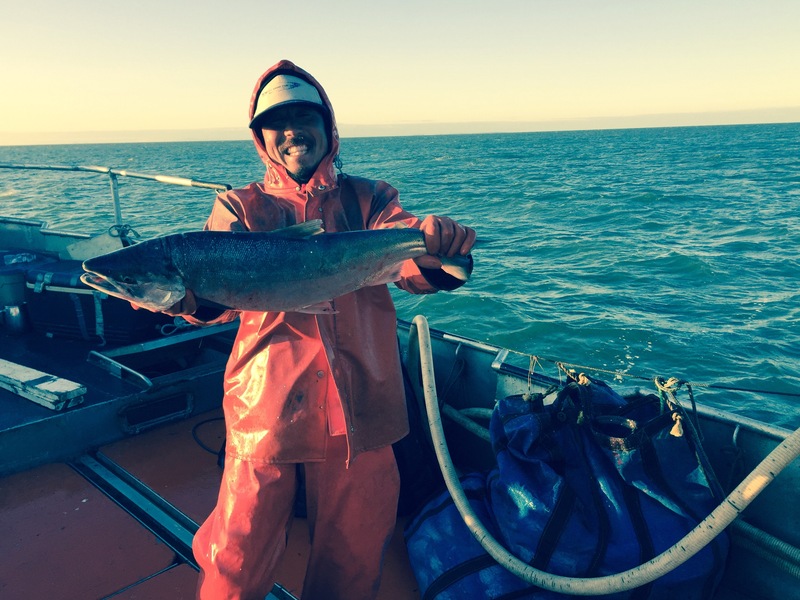 Our salmon is caught with hand-tied drift gill net gear. Each fish is individually picked out of the net, bled and placed in seawater that has been chilled to 37 degrees F. This ensures the quality of the product and locks in the freshly caught taste until it arrives at your door.